Rothco's Forced Entry Desert Tan 8" Deployment Boots with Side Zipper features a running shoe comfort with the durability and style of a military boot. This military style boot features a steel shank, rustproof eyelets, comfort collar, EVA midsole, rubber outsole and suede leather upper with breathable mesh. 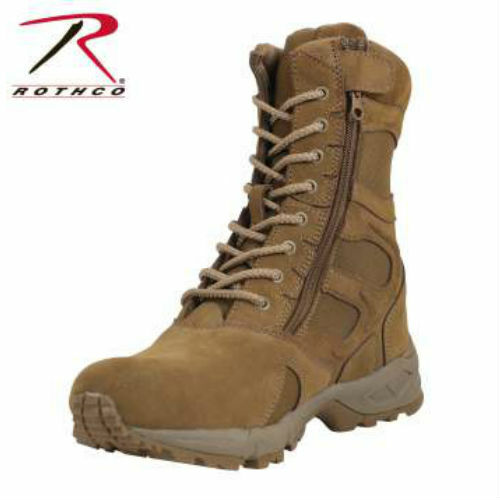 Rothco's deployment boots have a mountaineer sole for extra grip and are made from a rugged denier nylon.